How has everyone been this week? I know for myself it has felt like a very rushed week, but most of that is from the Memorial Day weekend. It is hard to believe we are ready to turn the page on May and move on to June. As far as SWTOR, I have been playing more than usual this past week. I have been trying my hand at healing with my Commando healer. This toon is only level 30, so my healing has just been limited to planet heroics and Flashpoints, but so far I’m enjoying the challenge. What adventures have you been up to in-game? Let us know in the comment section. As I mentioned above, I am currently working on playing a healing class. This is my first time for playing such a class in an MMO, so I started Googling for finding research. One such link I found was a site called Healing SWTOR. Great name for telling everyone exactly what your site is about. After the clever name hooked me, I started reading through his posts and even listened to his podcast. It is loaded with great information. 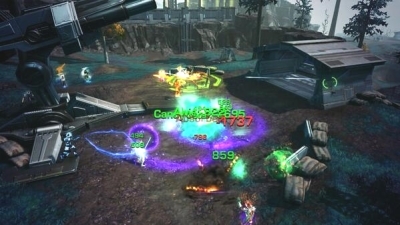 The writer and podcast host not only heals in SWTOR, but tackles all three classes of healers on the Empire’s side. If you have questions about healing, he can probably give you the answer. I’m not talking just PVE content, he also covers healing in PVP settings. 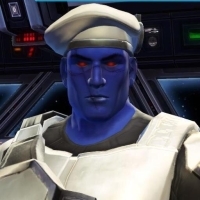 How does he cover healing in SWTOR? He uses his articles on the Healing SWTOR website, he also has a short weekly podcast through AudioBoo and that’s not all on his website he offers several video guides on various aspects of healing. If you are playing a healer class and looking for some tips, guides etc. 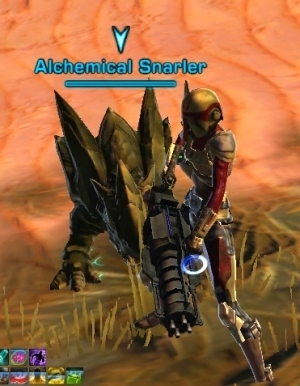 I suggest you stop by the Healing SWTOR website to check out all the helpful information. Hey all! Here are the notes for Update 3. One thing that isn’t noted is that we adjusted the event so that it continues running through next week instead of automatically turning off. During his Dread Palace encounter, Dread Master Tyran’s Inferno ability no longer deals damage outside of its affected area. Here are the patch notes for Update three for Game Update 2.8, currently on the PTS. Most of the patch has to do with changes made to Dread Palace Operation. Not being able to use “closing gap” abilities when carrying the Seed of Knowledge, is puzzling to me. Isn’t it strategy to use class abilities? If the using of these abilities has the fight not working out as designed, shouldn’t the mechanic be adjusted instead of making an ability inaccessible to players. What do you think of this change? Have you tried this new change on the PTS? If not login and help make your voice heard about this and other aspects of Game Update 2.8. I wanted to let you know about a sale coming to the Cartel Market this weekend! Each of these Hypercrates will be 28% off. I know what you’re thinking, 28%?! That’s a strange number. The reason that they are 28% is that at that discount they end up being exactly 5500 Cartel Coins, meaning they can be bought in a single purchase. You may also notice that some of these are embargoed packs so make sure to log in and get them while they’re around. BioWare is having a sale! That’s right folks, get those Cartel Coins ready for a 28% discount on every Hypercrate Cartel pack that is or has been in the game. Why 28%, because it ends up to be 5500 Cartel Coins for these Hypercrates. That is the exact amount of coins you can get through the SWTOR website in one purchase. I don’t plan on purchasing any of these, but the ability to purchase packs that have items currently embargoed is very tempting. Our SWTOR music video comes to us from YouTube user I Make Fan Trailers. The song for the video is “The House of the Rising Sun.” It sets the tone for the video, as more of the lawless side in the game. This video is a dedication of sorts to the two classes in the SWTOR galaxy that have stronger ties to the Underworld than each other’s faction. I’m referring to the Smuggler and Bounty Hunter classes. It really showcases the gritty blaster shootouts and various tricks used by these two classes. Hmm, wouldn’t it be cool to have an Underworld faction, but I digress. Let us know what you think of the video in the comment section below.